Magnesium is the critical chemical buffer for bicarbonate, calcium and alkalinity. 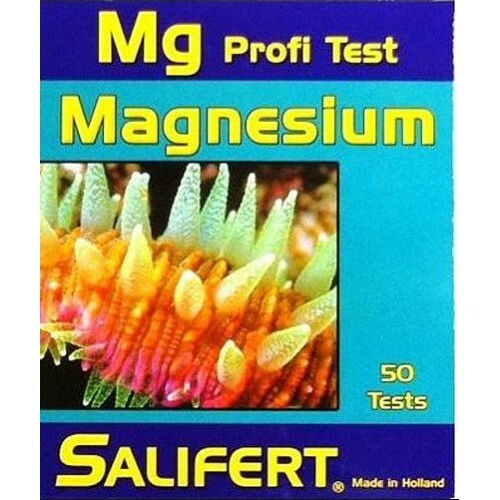 In a healthy aquarium, the growth and wellbeing of all cnidarians (coral), calcareous algae and other organisms can result in Magnesium depletion. 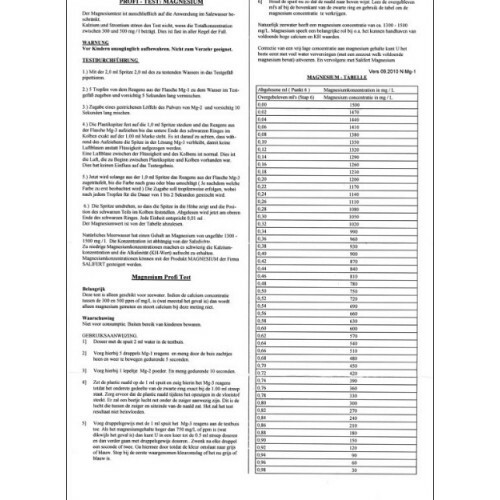 This in turn, leads to an unbalanced calcium and alkalinity ratio. 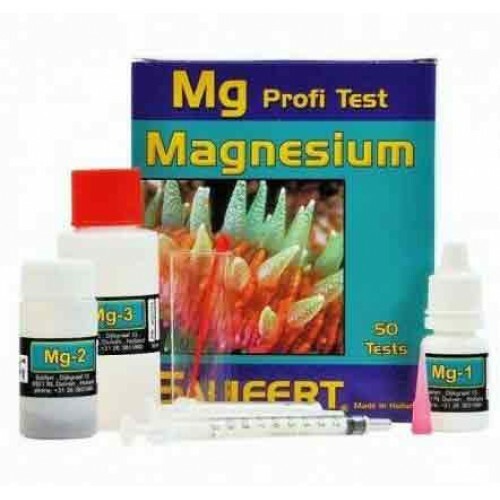 This test kit should be used to test daily if not weekly to maintain proper Magnesium levels.